And just like that, fall is nearly complete and the winter holidays are upon us! We know these months are bustling with activities both at school and at home, so we are combining your November and December highlights. Here are some of the activities happening at FLVS! 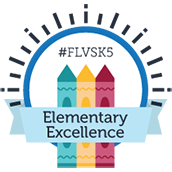 FLVS teachers and staff will be attending In-Service Training Days in Orlando from Nov. 29 – Dec. 1. 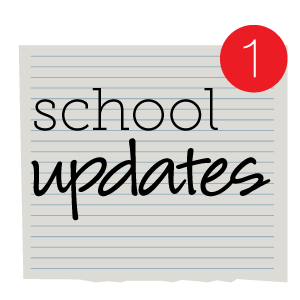 Students are encouraged to continue in their studies during this time, but please understand there may be a slight delay in grading or returned calls as well as other scheduling adjustments. Florida requires each school district to provide staff with a professional development plan of in-service hours to meet continuing education requirements. This helps our teachers and staff fulfill a portion of those hours and gain new knowledge and skills to better serve our students! All FLVS teachers and staff have off Nov. 22-24 in observance of Thanksgiving. The FLVS Customer Care Center will be closed Nov. 23-26. FLVS Full Time students and staff will be off for the week of Thanksgiving, Nov. 20-24. We hope you enjoy some time with family and friends this week! 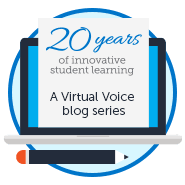 FLVS is making your learning experience even better! To help accomplish this, we will be performing upgrades to our Educator system during the first weekend in December. To ensure a successful and positive experience, we are postponing the system update that was to occur starting Friday, Dec. 1. Courses WILL be available this weekend. We will keep you informed when the upgrade has been rescheduled. Thanks for your patience and understanding! 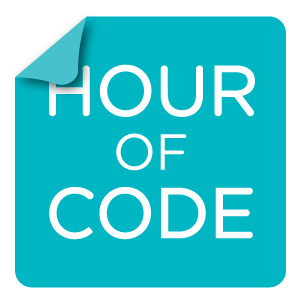 Get ready for Computer Science Education Week and Hour of Code, FLVS-style! Join FLVS Dec. 4-8 and learn more about the importance of Digital Literacy and the role that coding plays in the lives of every person. Be part of a global movement that spans 180+ countries reaching tens of millions of students! Hear from guest speakers Renie Pynn-Cunha and Mike Jarrell share their experience and love of gaming and game design. Guest speakers share about being a designer and the opportunities available in in this field. Students will also demonstrate different aspects of design. Dr. Patricia McDermott-Wells from Florida International University and Timothy Walker, FLVS IT Security Officer talk about careers in IT and in cyber security. Dec. 8 at 4 p.m. – Where Do I Go from Here? Join us at this session to see the many exciting opportunities at FLVS to join the coding and technology revolution, as well as a sneak peek at new and exciting courses coming soon to FLVS. During the scheduled time, visit the following link to join a session: http://tinyurl.com/TechClubFLVS. Feel free to use the hashtag #FLVScodes during the week to get in on the action! Want to travel the world for free and from the comforts of home? 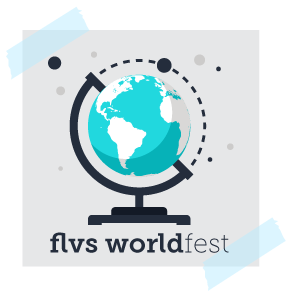 You won’t even need a passport when you join us for the FLVS World Fest! World Fest is a cultural celebration for FLVS students, families, and staff. Experience cultures, listen to music, brush up on your geography, hear from amazing world travelers or even complete an assignment or two! Invite your family and friends along for the journey as you choose from more than 20 incredible sessions. FLVS World Fest 2017 will be held Thursday, Dec. 7 from 10 a.m. – noon and 7-9 p.m. 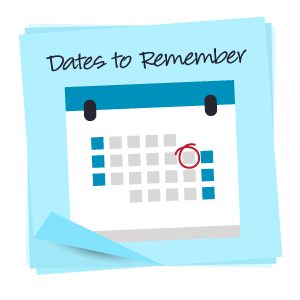 Check out the full schedule or visit the Student Calendar for this and other events. During the scheduled time on Dec. 7, visit the following link to join in on the fun: Join a session. 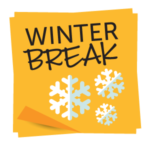 The Winter Holiday Break for FLVS is scheduled Dec. 22 – Jan. 5. The FLVS Customer Care Center will be closed Dec. 24-25 and Jan. 1. It will be open from 9 a.m. to 5 p.m. from Dec. 26 through Jan. 5. Wishing you and your family a wonderful and safe holiday season! This entry was posted in Educator Edition, Full Time Edition, Homeschool Edition, Parent Edition, Student Edition and tagged Computer Science Education Week, CSED, Dates to Remember, FLVS Corkboard, FLVS Student Activities, FLVS World Fest, Holidays, Hour of Code, Newsletter, Student Activities, Student Updates, Thanksgiving, Winter Break on November 17, 2017 by The Virtual Voice. During Christmas break, does that mean we don’t have to work on FLVS? Or will we be requested for a withdraw? Because its 2 weeks? Hi there! Courses will be open if you want to continue working, but students aren’t expected to submit assignments during the break while teachers are out. Hi Shirley. The course should be available, but may take a little time for placement based on your requested start date. Give us a call at 800-374-1430 and we can check on the status for you. Are the pre-tests part of our grade? and Can we re-take the pre-tests? Do we have to get all of our school work in each class done by December 8, so our teachers can get pied faced? Hello. i was wondering if we could still do are assessments on christmas break? If we can’t please say a way that you could help me! Between official holiday breaks in November-December and my sons’ teachers’ additional vacation days taken (during those months), there is little assistance from November 1 to Jan 8. I remember when FLVS was 24-7, and while I don’t expect 24-7 assistance now, the current schedule makes progress a challenge. Any hope FLVS might restrict teachers’ vacation time adjacent to official holidays? Hi Jen! Apologies for the delayed response. Thanks for sharing your feedback about teacher support and schedules around the holidays. This past year was a little unusual as the hurricanes postponed our annual staff In-Service and impacted the schedules of our instructors, support staff, and planned system updates. Many faculty and staff members traveled to Orlando in late November/early December for In-Service, so this limited availability leading up to the typical Winter Break in December. However, if you encounter this again with a specific course and find you are unable to make move forward, we encourage you to reach out to your teacher and/or the IL (principal) to let them know so arrangements or another point of contact can be provided.